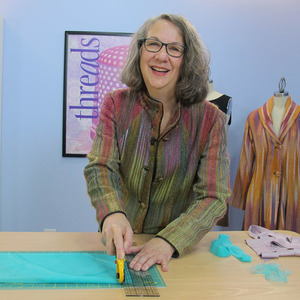 For success when sewing with wool, choose fabrics thoughtfully, and progress from easy to more challenging textiles. 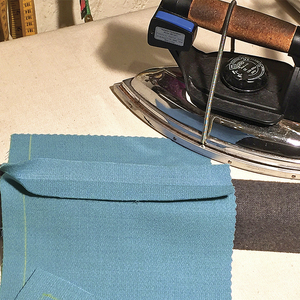 When chosen carefully, wool fabric can be a joy to sew. 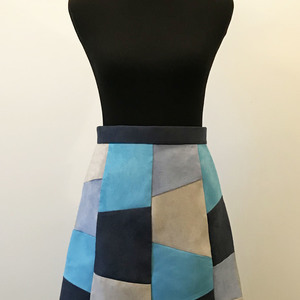 This classic coat was made in a wool tweed by 4-H member Katie Kreider for the Make It With Wool competition. Photo: Jack Deutsch. Wool is a classic fabric for a reason: It’s long-wearing, looks good, and works well for many garments and climates. But beginning sewers are often intimidated by it. There’s no need to fear wool. In fact, it’s one of the most satisfying fiber types to work with. If you choose the right fabric, you’ll be able to have success. 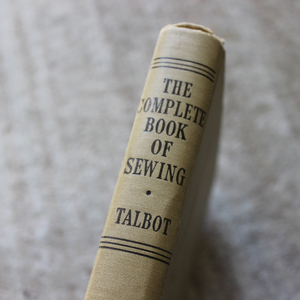 When you’re starting out, keep in mind that not all wool fabrics are the same and not all are suitable for beginners to sew. Below are some examples of wool textiles, ranked from beginner to advanced. Look for materials that share the characteristics noted, and you’ll avoid frustration in your first wool projects. 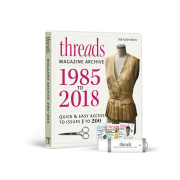 Learn more about wool and find out how to select an appropriate garment design for your skill level, in “Essential Techniques: Wool fabric guide,” Threads #200, Dec. 2018/Jan.2019. Peruse 19 wool fabric options for beginners. Flannel is highly recommended; however, this cashmere version may be pricey for someone who is timid about wool. Nice for a dressy but easy skirt; the metallic threads will elevate a straight or pencil skirt. 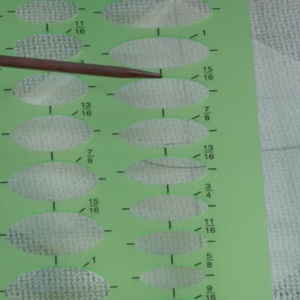 Use a press cloth when pressing, and test on a scrap to make sure the metallic fibers don’t melt. Tweed with no matching required. Nice for a simple top or dress; may be difficult to find coordinates for this unusual colorway. Excellent weight for a coat or pencil skirt. 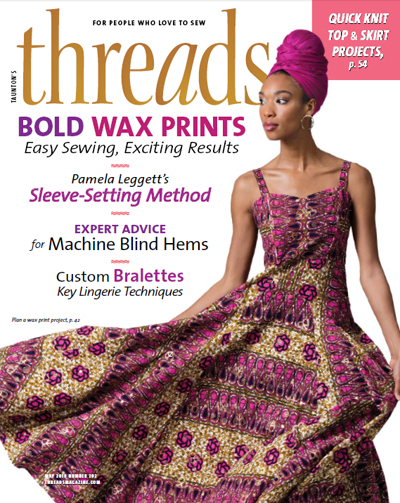 The multicolored tweed weave requires no matching along seamlines and conceals any small sewing errors. Nice for a skirt or dress; tweed camouflages errant stitches. The neutral color coordinates with a wide range of garments, so you’ll get lots of wear from a garment made with a fabric like this. Allover tweed; no matching; hides small errors. Crepe has a lightly textured surface and not a hard finish, so it’s easy to press and mold with steam. It makes excellent coating and is good for a skirt. This textured weave is likely made from angora or other animal fiber. It has a soft hand. The basketweave design is small so no matching is needed. Flannel is highly recommended for a first project. 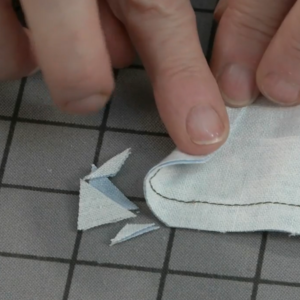 Its brushed surface hides any sewing imperfections, and it’s easy to press and mold, so setting sleeves isn’t a chore. When you’re ready to make a jacket or coat, try flannel. This dark weave is excellent fabric for camouflaging minor stitching irregularities; it is a nice weight for a skirt or structured dress. Lovely fabric for a coat or skirt. The texture and multicolor weave add interest without increasing difficulty. 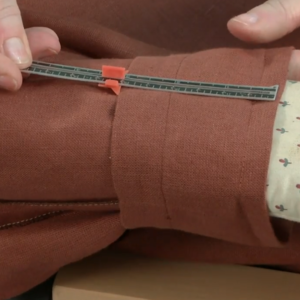 Nice for a skirt; it’s also nice for a coat or jacket with interfacing support. Wool doesn’t have to be dark or neutral—enjoy a brighter hue. For a wool novice, this is suitable for a skirt or collarless coat. More advanced sewers can use it for jackets and coats with notched collars. No repeat or plaid earns this multicolor tweed beginner status. Consider a classic collarless jacket, in the silhouette of a Chanel jacket. 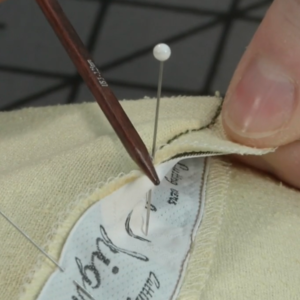 Pay special attention to seam finishes as the fabric will ravel. Lightweight crepe for a sleeveless top or dress. 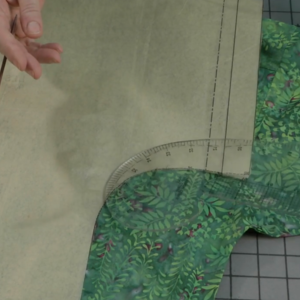 The weight and sponginess of this fabric will camouflage beginner errors. 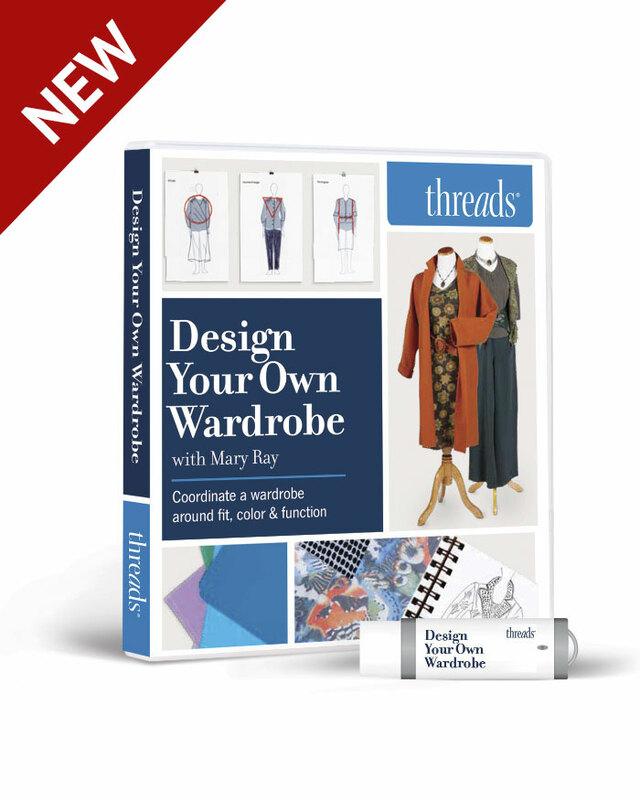 Excellent for a beginner, whether it’s a skirt, pants, collarless jacket, or coat. The purple hue is deep and rich, and is a lovely alternative to black and gray as a winter neutral. Lightweight; suitable for a sleeveless shell. These five wool fabric options are for those wishing more of a challenge. Excellent weight for a beginner but the herringbone forms a vertical stripe and would need to be matched at key seamlines. Likely some silk, which causes the sheen; slight repeat, which some folks would think requires matching. This fabric has a harder finish (its surface is smooth and has little nap), which is less forgiving. It may have a plaid or repeat that would require matching. Lightweight challis for a shell top; errors will not be easily camouflaged. 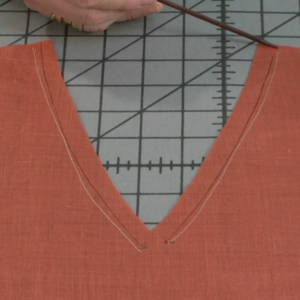 Light, soft wovens can stretch along bias lines and may need stabilization. Superb weight for a dress; errors are not camouflaged, but the drape is excellent for some styles. 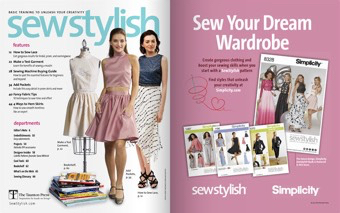 Three enticing fabric options provide challenges for the most experienced wool sewing enthusiasts. Hard finish; prone to shine when pressed. 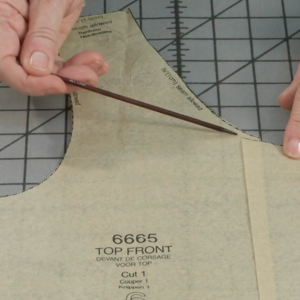 When properly sewn and pressed, this type of fabric yields a crisp, rather than soft, look. Beautiful textile with a slight sheen. However, the hard finish should be reserved for those with experience with wool; excellent for dresses and indoor jackets. 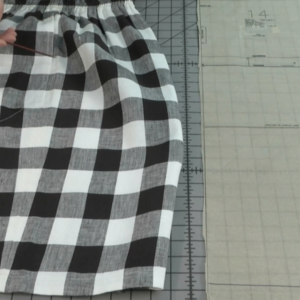 Elegant, but this combines the difficulty of a sateen (see above) with the challenge of polka dots that form a plaid. You’ll need extra precision for layout and construction. 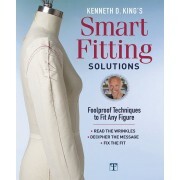 Hello, this article would benefit from including the fabric weights and contents. Identifying a fabric as "tweed" doesn't tell a novice enough. Unless otherwise noted, these are all 1oo-percent wool, as the title suggests. A couple of the descriptions mention other blended fibers, such as silk and rayon. All are medium-weight, unless specified--for example, challis is lightweight. The descriptions generally indicate the type of garment each fabric is good for, and that will help with selecting an appropriate textile. The essential point for beginners to keep in mind is to look for softer surfaces with some texture, rather than very smooth and flat surfaces, and to avoid tricky patterns such as plaids and stripes, which require experience to match. Hi, This was a wonderful article! The coats shown are just beautiful. I love sewing with high content wool fabrics but sadly am finding them more and more difficult to source. I live in Canada where we have cold winters so one would think they'd be more available. Showing some sources for the fabrics shown would be very helpful. I agree that a list of wool suppliers would be helpful. Wool in northern Minnesota is a staple but alas we go searching! I also agree that most wool crepes are not beginner fabrics, rr528. The touch factor is important to determine weight and fraying potential. 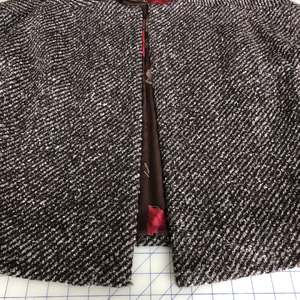 Indeed, the wool crepe pictured is substantial, medium-weight fabric and it was ideal for a coat that I made with bound buttonholes and Peter Pan collar. Regarding the sources of the fabric swatches-- They were gathered from Emma One Sock.com, Mood Fabrics, Fabrics and Fabrics (NYC), New York Elegant Fabrics (NYC), B&J Fabrics, Fabric Mart, and Pendleton. Many of these have an on-line presence. If they don't, their staff responds well to phone requests. 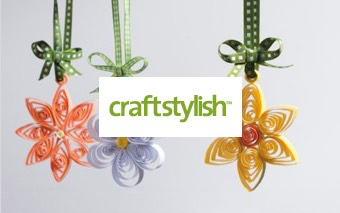 Some offer free swatches and others charge a nominal fee so that you may touch and feel what you are considering. When I work with students and with my own projects, we often gather swatches from on-line vendors and never see the fabric on a bolt. It's a different shopping experience from when I was young, but it works.